As Nissan's flagship sedan, the 2014 Maxima fills many roles. It must showcase the company's performance and pricing advantages, while simultaneously impressing owners with its luxury and technology. Although the Maxima makes a strong case for Nissan, the new Altima threatens to undermine it, as do number of newer rivals from Hyundai, Buick and Ford. The fancy, sporty, non "mom car". I absolutely love my Maxima! It is very roomy and comfortable. I have more options than I could have imagined for the price (like a steering wheel warmer and weather radar!). It is a great family car yet also sporty. It does not feel like a "mom" car at all. It has the get-up-and-go that you need to merge onto a busy highway. I'd buy another one in a heartbeat! 2014 Nissan maxima. Reliable, lots of pep, safe and roomy. Great family car. This vehicle is possibly the best one I have owned so far. Plenty of power, very maneuverable and responsive suspension. Simple, easy to read instrumental panel. Very reliable, I just change the oil, filters add gas and go. Only thing I dislike is the air conditioning vents, in my opinion they're too small and when turned on to high setting it is very loud. Luxury ride for less money. 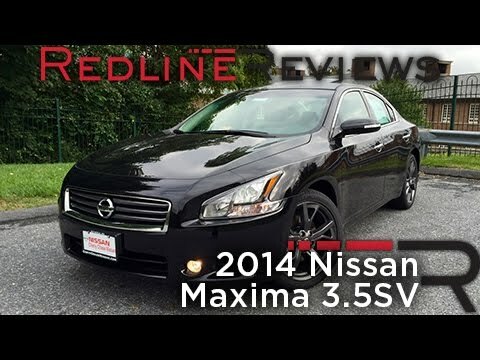 The Nissan maxima is not very expensive but it looks, feels and drives like a luxury car. I like the Bluetooth feature. I also enjoy the sunroof. I prefer to crack open the sunroof to let the hot air out than open the windows. I like that you can just tilt the sunroof without opening all the way. I also like the keyless feature.